Do you have a soft spot for sweet and snuggly seniors? Then I really hope you’ll give me a chance to be your new best friend. My name is Mama Bear, cat No. 83A, and I’m a 14-year-old lady that would love nothing more than to curl up next to you. I’ve been waiting for a family to cherish ever since I was brought to the shelter back in August. After all these months, all I truly want in life is a family to love and a warm place I can curl up in, especially if that place is in your lap. So if you have room for a gentle and affectionate cuddle buddy in your home, then stop by and give me a chance to earn a place in your heart today. 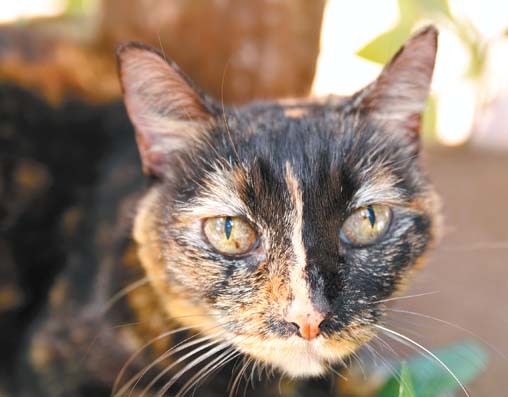 • The Pet of the Week is a Sunday feature submitted by the Maui Humane Society to promote adoptions at the Maui Animal Shelter and Adoption Center. Visitation, adoption and business hours are 11 a.m. to 6 p.m. daily. Now open on Sundays. For more information, call 877-3680, ext. 3. The shelter is located on Mokulele Highway at Mehameha Loop. Animals featured in this space are subject to prior adoption.